The Women’s World Player of the Year is to be announced tomorrow (January 7) at a glitzy ceremony in Zurich, with the who’s who of world football invited to attend. On November 29th, a list of nominated players for the coveted award was narrowed down to a final three, with one or two perceiving the list as slightly controversial. The initial short list, which like the male award is now a three horse race, consisted of players from all over the globe, but did have one worthy absentee – the golden girl of 2012 in this country, England’s Steph Houghton. Houghton will consider herself unfortunate to have not made the list of nine players, but she has been toppled in the bad luck league by Canada’s Christine Sinclair. The country’s star striker is considered to be one of the best players in the world, and after a hat-trick in the semi-final of a major competition, you’d think she would have had a fair chance! 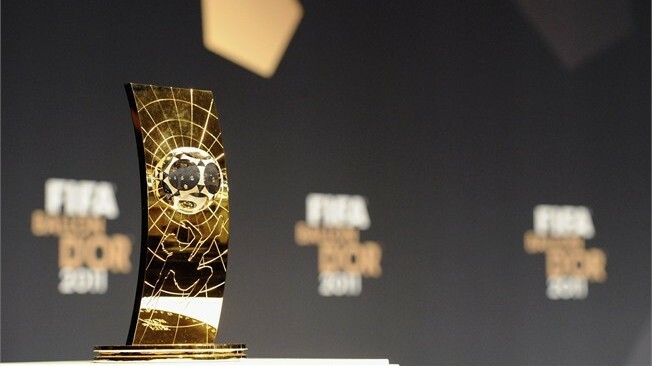 However, this year’s award will be contested by American duo Abby Wambach and Alex Morgan, and five time winner of the award from Brazil, Marta. Some inside the women’s game have questioned the omission of Sinclair, with BBC Radio 4 even having journalist Jacqui Oatley on air to talk about it. However, let’s focus on those in, and not those unfortunate to miss out. This is my insight into the three candidates, and views are my own, not those of anyone else. One of the most decorated stars in the women’s game, Marta is a player who has the attributes that make her one of the greatest players of all time. The Brazilian forward, on her day, is unstoppable, and this has been recognised by those at FIFA after she was named World Player of the Year five times between 2006 and 2010. Her run came to an end after Japan’s Homare Sawa beat her to the award last year. Despite her past achievements and personal accolades, Marta has never been able to drive her team onto win a major competition, finishing runner-up at two Olympic Games and one World Cup. The year 2012 wasn’t exactly an overwhelming success for Marta, which is why some were surprised to see her nominated alongside the two Americans. Just two goals came in the London 2012 Olympics, both against Cameroon, who were arguably one of the minnows of the competition. She was marked out of the game at Wembley when Brazil lost 1-0 to Team GB, while she was unable to prevent her side being knocked out by Japan in the quarterfinal of the competition. Domestically, it was a better season for the Brazilian forward, as she was able to help her Swedish club, Tyresö FF, to their first Swedish league title. However, this wasn’t enough for her to be considered Sweden’s elite player, as she was piped to the title of Player of the Year by Germany’s Anja Mittag, as well as losing out to the title of Best Forward – again to Mittag. Marta’s class is there for everyone to see, but her inclusion surprised many, and it will be an even bigger surprise if she is walking out of Zurich with a trophy. Words fail to describe America’s veteran striker! She doesn’t age, she doesn’t show signs of slowing up, despite being 32, and she certainly doesn’t seem to be losing her desire to represent her country. Wambach is a role model to many in the US and is a major reason why some of the young players coming through the American setup took an interest in the game in the first place. She once again proved her worth for the national side in 2012, forging a formidable partnership with fellow nominee Alex Morgan, as they terrorised defences all year round. 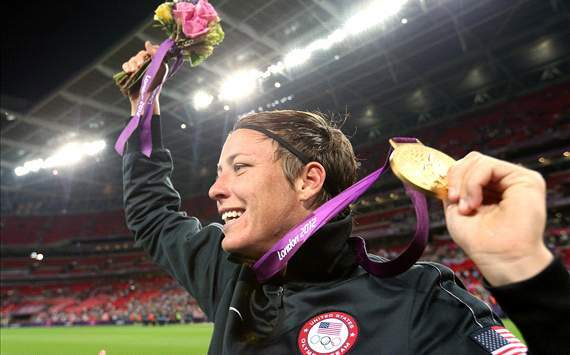 The highlight of Wambach’s year would have to be winning her second Olympic gold medal, scoring in every group game, the quarterfinals and semi-finals, and finishing with a total of five goals. This was just one behind, yes you guessed it, Christine Sinclair. 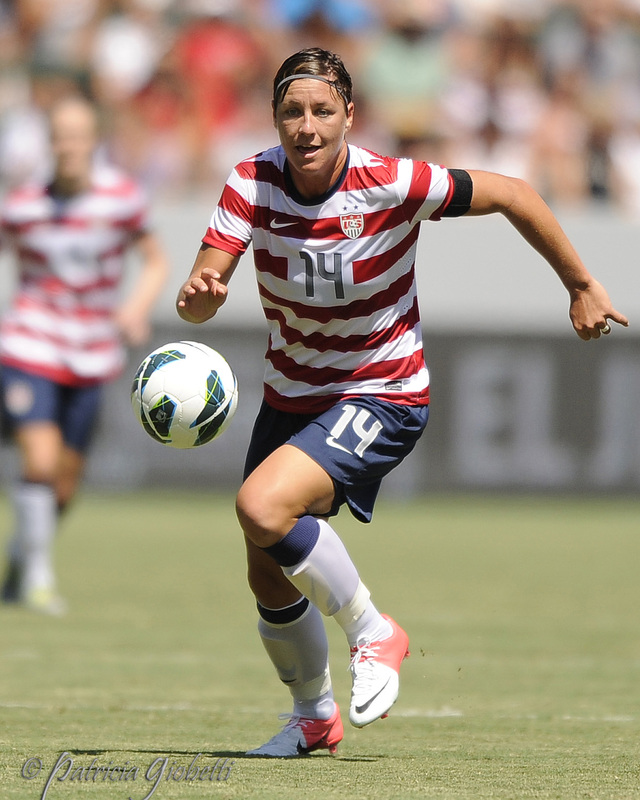 The American notched 26 goals in 2012 for the US, taking her to a total of 152 in 198 games since making her debut in 2001. Ask most top defenders, and many of them will say that because of her frame, strength and unquestionable desire to win, Wambach is the hardest striker to play against in world football. She will be seeking her first World Player of the Year award, having been shortlisted on a number of occasions, but never coming out on top. This could be her year, and nobody could say she doesn’t deserve it. Alex Morgan is the golden girl of US Soccer, and may even be one of the most recognised players in America, along with LA Galaxy’s Landon Donovan. She is the only women’s football player to have obtained over one million Twitter followers, and has had a year that few male players would be able to match. Morgan first burst onto the scene last year after she was the number one overall pick in the now defunct Women’s Professional Soccer League draft by the New York Flash. She soon became a household name in the league, and was rewarded by being selected to represent the US at last year’s World Cup in Germany. However, it is 2012 that Morgan has established herself as one of the world’s best, turning defenders inside out with her quick feet and pace, and forcing goalkeepers to look behind them in despair as they see the ball nestled in the back of the net following a Morgan strike. The 23-year-old from California is about as close to a football pinup as you could find, but don’t think that this girl is all hair and teeth. She became only the second player in US Soccer history to score 20 goals and obtain 20 assists in a single year, the other being legend Mia Hamm, and became the third player behind Wambach and Michelle Akers to notch over 25 goals, again, in a single year. Morgan really is the real deal, and it is frightening how quickly she has adapted to the international stage. She has already been voted the 2012 US Female Soccer Athlete of the Year, and my money is on her being stood next to Lionel Messi when the winners are announced in Zurich.